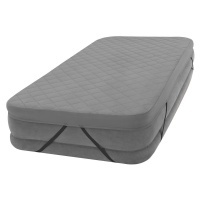 Intex 64412 Single Size Comfort Plush Rasised Airbed with Built-in Electric Pump. 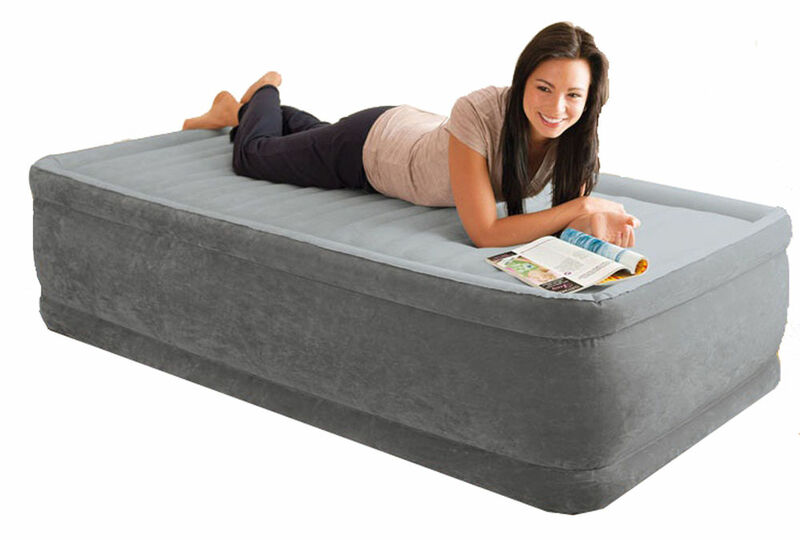 Innovative Dura-Beam Technology airbed is comprised of thousands of high-strength polyester fibres. Unlike traditional airbed construction, these high-strength polyester fibres do not stretch over time, resulting in amazing durability and lasting comfort. Dura-Beam interior construction provides the ideal firmness for superb support and rejuvenating sleep. - Mattress approximate maximum dimensions 39'' x 75'' x 18'' . - Inflates in 2½ minutes (Inflation time varies by desired firmness).